Web Hosting - Fastest & Optimized CPanel BDIX Hosting. FASTEST & OPTIMIZED HOSTING : SOUL OF YOUR WEBSITE! 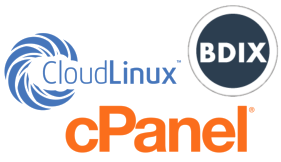 BDIX, CloudLinux & CPanel, enough to make the most powerful web hosting you can ever experience! World’s first commercial linux operating system, CloudLinux offers dedicated IOPS, I/O, RAM and much more for every Cpanel Account. Enjoy more Power, Flexibility & Control with our NVMe SSD driven CPanel Web Hosting, the best you can ever get! Guaranteed Dedicated Resources For Every Cpanel Account! 99.9% Uptime Ensured, Dedicated Support 24/7/365. BDIX Connectivity With Every Web Hosting Account! ITS ALWAYS READY, JUST GRAB N GO! 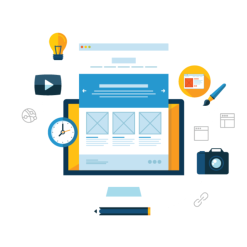 Instantly ready to serve whatever the websites is, from a blog to the big player. Best suites with personal blog, portfolio or just a personal cause. For a professional in the web world or a small company. Perfect for any business use. A busy website best describes it. For BIG players of the web, where sky becomes the limit. TOMATTOS WILL ALWAYS TAKE YOU ONE STEP AHEAD OF OTHERS! Dual Xeon 24 Cores, 128GB DDR4 RAM, Intel 750 Series SSD along with 3Gbps feed per server! Every server is connected with BDIX routing, means you have super fast bandwidth available locally and internationally! All of our web hosting plan comes with a un-metered bandwidth which is backed by 3Gbps fiber line. Worlds first commercial linux operating system on every server to ensure the best stability & control! Control your web hosting environment from worlds #1 server control panel CPanel with a ease. Install & up with your favorite application on the web within a minute with Tomattos Auto App Installer! 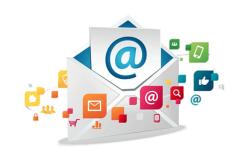 WebMail becomes more professional with complete control over your inboxes with complete security! Select your PHP versions anytime you need from all available PHP versions. Only Intel Series 750 SSD is used on all our servers to ensure the best IOPS, I/O and database performance! Optimized web hosting for faster & smooth WordPress performance! How can you make your webhosting more useful? We have extras to make it more meaningful! Need a static IPv4 address for your website? For many web application you might need a dedicated IPv4 address, and here you go! You can order upto 5 dedicated IP addresses for your webhosting account. 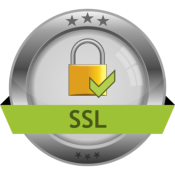 Secure your website with SSL encryption!  Make your website safe for your visitors while keeping your sensitive website data protected from hackers, fishers and spammers with SSL Certificates!